It’s been one of those weeks where nothing seems to go right. School always gets busy before Spring Break and I think I was starting to feel a little overwhelmed. Luckily, it’s finally the weekend and I’ve taken some time to find the little things that make me happy. 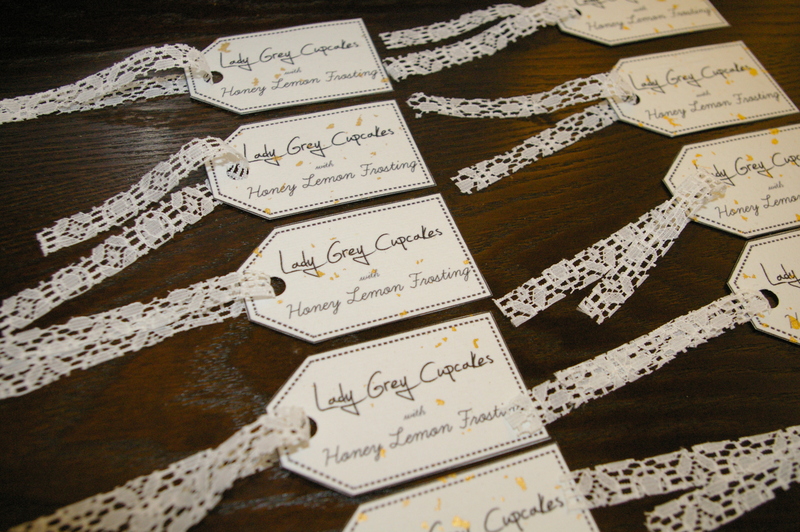 Tags with lace ties that I used for a school project. 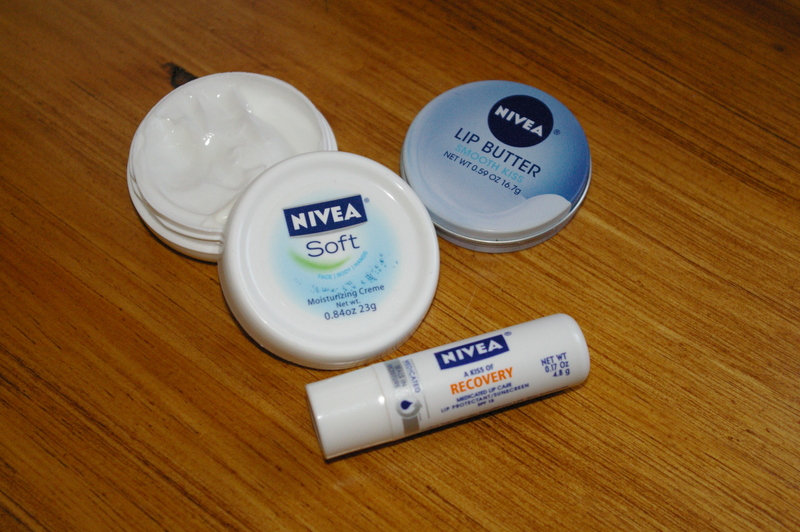 Nivea products saving my skin from this winter. 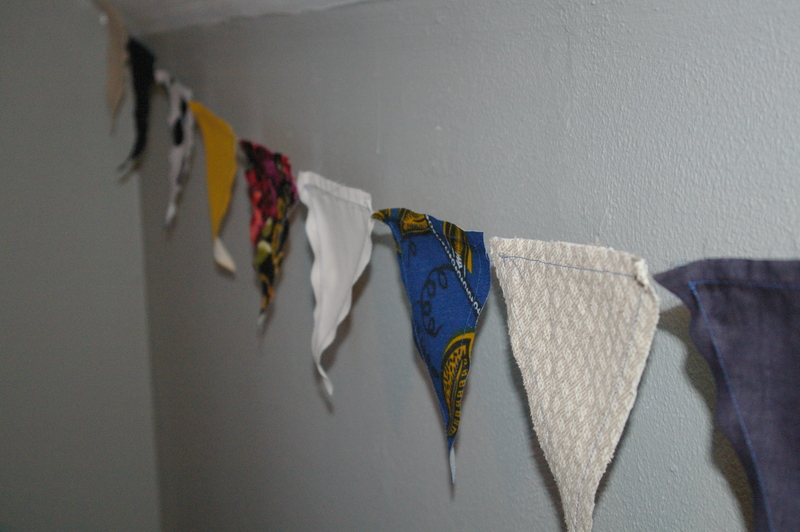 Scrap fabric decorations to brighten up a dull wall. 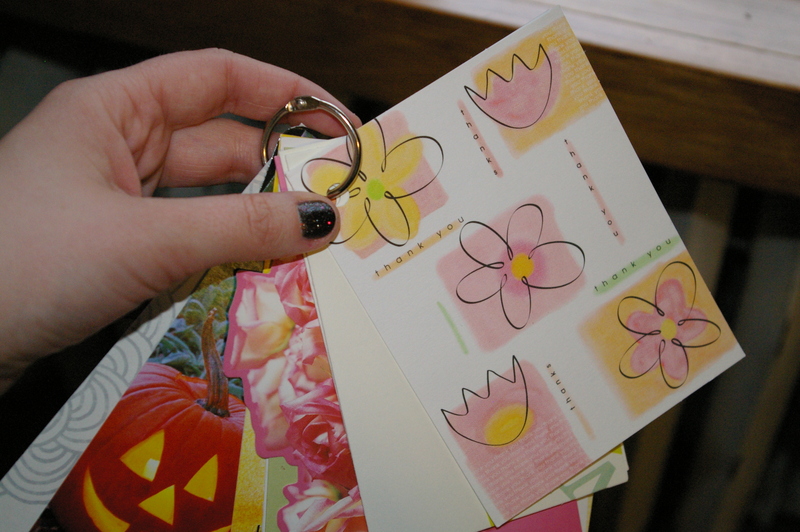 A loose binder ring that helps me organize a plethora of cards.